Coaching is a better way of asking empowering questions to help the client shift their current thinking and achieve more. Below are some of our FAQ (frequently asked questions) to check before you contact me about your relationship coaching needs. Hopefully these will empower you to make contact and get the best coaching you deserve! For example, how is NLP great for relationships? or, can you use hypnosis for better relationships? Perhaps you may be curious about how coaching will work for you and what sort of weird and wonderful techniques and language will be used during our sessions together. Take your time to read these FAQ and find the answer to the question is relationship coaching right for me. Before you contact me about coaching I want you to be certain to have all of your questions answered. Then, let your transformations begin! The frequently asked questions below will attempt to address most of them, which means it will save you time and effort before investing in something you may be a little sceptical about. If you find your questions aren't answered here, use the contact me link on the right hand side. Coaching is a more powerful way of communicating to enhance performance. Coaching is asking questions which empower the person/group to identify goals, breakthrough challenges, focus on strengths and resources, and motivates them to achieve the goals quicker than they would have done alone. Relationship Coaching is about achieving quality relationship that the client/s want/s. Some people hire me to achieve personal goals in other areas of their life, such as health, careers or self esteem, but mostly about using NLP in relationships. Others want to a achieve a specific breakthrough using hypnosis for better relationships that will enable them to grow and achieve more. A coach will help you turn your dreams into reality, which I know may sound fantastic. Goals are simply “dreams with deadlines”, and most people fail because they get the fantastic dream, and then do nothing towards its achievement. The lack of action leads to lack of belief so people begin to identify with that lack. A person who actually sets goals is far more likely to achieve success for themselves, because having goals, and having a coach, keeps you focused on taking steps towards achieving them. As your coach I will inspire you to perform at your best because I believe in your potential to overcome obstacles along the way and achieve more. How does the trial session work? The trial session is around 60-75 minutes to focus on your current situation, identify three key areas you want to improve and set three inspiring goals. Can I work on more than three goals? If you decide to continue with our coaching service, you can create SECONDARY goals to work on on outside your coaching sessions. We will even provide you with templates to use to record your secondary goals on. Your Coach will focus on one to three PRIMARY goals for the period of your coaching agreement. This is to maximise the effectiveness of your time together. How soon can I start my coaching sessions? We love the enthusiasm so we aim to get going as soon as you can complete the coaching application form. 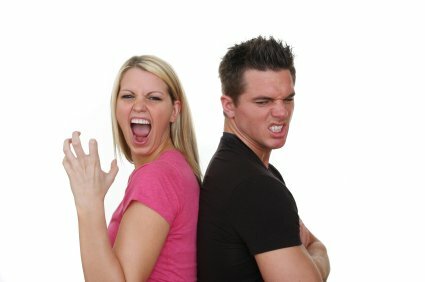 First of all continue reading through these relationship breakthrough coach FAQ. We will endeavour to contact you within two days (except weekends) to schedule your initial session. We aim to get your second session scheduled within two weeks after a trial session. Can I refer my friends and colleagues? Yes of course. We have a reward system for clients making referrals but you can only benefit if you are already a client. See our best friends rewards page for more details. Please feel free to refer this website to your friends through Facebook and Twitter too! What If I want a break in the coaching series? Of course this happens from time to time and I ask that you give me as much notice as possible to work around, otherwise I would have to invoice you for a cancelled session! Let's be fair, if you don't respect your time then that session space can go to someone who does. The most committed clients can expect the best results, but I understand the need for flexibility from time to time. A copy of my terms and conditions will be given to you up front, before you start your coaching sessions. There is no direct funding available through us, however you may wish to consult with your employer to sponsor your sessions. Sites like "Business Link" can sometimes put you in touch with funding for small business. I used to offer pro bono sessions as this was one of my FAQ, but what I found was those clients simply did not show or maintain the commitment as someone who truly decided to invest themselves fully in the coaching relationship. I am based in North London. Most coaching sessions take place over the phone, and I often use SKYPE which means the telephone session is free of call charges for both of us. Face to face appointments will usually take place in London and traveling expenses are negotiable for appointments outside of London. What are the qualities to look for in a great Coach? The last one shows that I believe in coaching and have employed my own coaches and mentors to ensure that I give the best service to my clients. Is Relationship Coaching the same as Mediation? No. Coaching is not counselling or psychiatry either. As a professional coach I help clients gain awareness of their current reality, and identify ways to become what they want to become, either one to one or as a couple. Personal development is about developing into the person you want to become. Coaching is about creating the vision, strategy and actions you need to succeed, and is solutions focused. Can I use NLP in relationships? How can you not? NLP is the abbreviation for Neuro- Linguistic Programming. NLP is a hybrid science that was created by modelling successful therapists and practitioners. Key language patterns used by these pioneering practitioners were identified that brought reliable success. NLP has been described in many ways and simply means communicating intentionally to effect change more effectively. Some say it is like software for the brain. An NLP practitioner can help you change habits and behaviours through specialised techniques and language patterns. As a Master Practitioner of NLP I enable people to turn significant emotional events into massive positive learning’s that accelerate their results even further. What will happen to me during a session? You decide what you would like to achieve by the end of the session to. I call this “creating a context” for the session. We create an outcome or a context for the session and through questioning and listening I will utilise the relevant patterns, to achieve the desired results. No two sessions are the same, and my clients generally experience some new insight or even a breakthrough in each one. I only use coaching tools that I have been trained in and practiced either personally on myself or with other clients. I have personally experienced all of the coaching methods that I use and can absolutely vouch for their effectiveness and in every case they are a pleasure to work with, which means that you can enjoy your sessions as much as I do! I use coaching models, questioning techniques, patterns, and questions as and when it is appropriate and useful for you. Many of the models used in relationship coaching sessions are simple conversational tools that you need have no conscious awareness of. The greatest benefit for you, the client, is not in understand the tool but in the application of it. I will not use any tool that you are not absolutely comfortable with and will gain your permission before deepening your experience. Will I be hypnotized to do wild things? Absolutely! if going for a fantastic personal or relationship goal requires it! The use of hypnosis for better relationships is a great piece from the coaching toolbox and I love becoming deeply relaxed and allowing positive suggestions to sink in to the unconscious mind to enhance your perceptions and ability to achieve more. The hypnotic suggestions to enhance your relationship will be related to your goals and will leave you feeling even more confident and committed to taking action. e.g . If your goal is to be a TV presenter on a children’s weekend show, you would probably want to do some pretty wild or wacky stuff anyway! Does the Coach offer professional advice? No. Coaching is not about giving advice. We do not provide financial, medical, legal or specialist business advice, either, and we may refer you to one of our partners for professional advice if that is relevant to your goals. What are your Coaching qualifications? What do you want to do now? If you have any additional questions, please contact us via the form provided. You have absolutely nothing to lose. Alternatively, if we have answered your questions complete the application form for coaching and lets get started. Have your Questions been answered? Start again at the top of FAQ page or send me your query through Contact Me. Click here and read some testimonials and find feedback forms for you to complete.